What’s Different about Working with Titan for Residential Roofing? It is possible to use sealants and rubber fittings to keep the system; however, at Titan Roofing LLC, all of the metal roofs are designed with mechanical fittings. 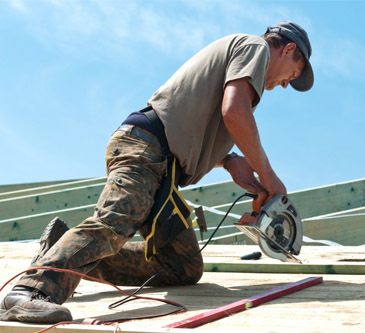 Once the metal roofing is installed and water tight, there are no fittings to wear out. All of the flashings are designed to be mechanically watertight and not wear out. 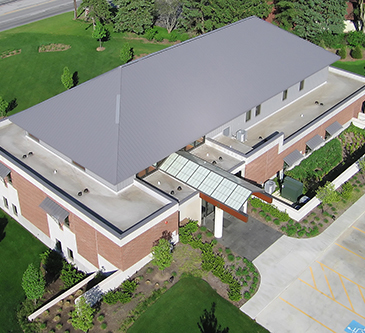 We can install panels with exposed fasteners, but we can manufacture our own seamless standing seam panels, so competitively it’s difficult not to step up to the improved design of a seamless, standing seam system. The bottom of the panel is locked to the perimeter metal to prevent wind uplift or lifting that will occur with systems that are face fastened. By having hidden fasteners, you prevent having the neoprene washers wear out, and replacing all the fasteners in eight to 10 years. By having hidden fastener clips that have been tested to meet high wind zone specifications, you never have to worry about losing your wind uplift performance in 10 years the way asphalt shingles and exposed fastener roofing systems do because there are no wearing parts.